Madonna is the only hospital in the region to provide an extensive vision rehabilitation program delivered by specially trained experts who use state-of-the-art technology to help patients of all ages with visual impairments resulting from illness or injury to maximize their quality of life in home and community-related roles. Vision affects a person's ability to perform everyday tasks like walking, dressing and climbing a flight of stairs. It is also vital for a person's thinking processes, reading and cognition. Addressing vision issues early in the rehabilitation program can improve results for many patients because vision relates directly to balance, attention and interaction with people and objects in one's environment. Dr. Tanner Gates is an optometrist who specializes in vision care for patients who have suffered traumatic brain injury or stroke. He graduated with a Doctor of Optometry degree from Nova Southeastern University in Fort Lauderdale, Florida, and went on to complete a residency in Vision Therapy/Rehabilitative Optometry. 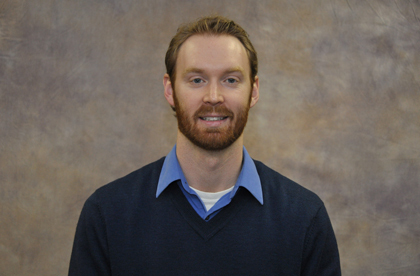 As a specialist in neurovisual rehabilitation, Dr. Gates is responsible for diagnosing post-traumatic visual deficits and directing the vision rehabilitation treatment for Madonna patients. Jessica Virgil is a 2009 graduate of College of Saint Mary in Omaha, Nebraska and holds a bachelor of rehabilitative studies degree and a masters of science degree in Occupation Therapy. Jessica is a certified Brain Injury Specialist (CBIS), who is trained to assess and treat visual impairments following a neurological insult. Jessica joined Madonna’s inpatient acute rehabilitation team in 2010 and works with a wide variety of diagnoses, primarily those who suffer from neurological conditions, including but not limited to, traumatic and acquired brain injury and stroke. 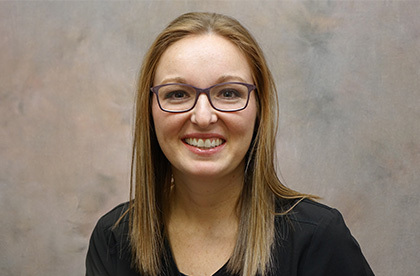 She is a licensed and board certified therapist in the state of Nebraska and a member of Nebraska Occupational Therapist Association. Kayla is a 2013 graduate of Creighton University, Omaha, and holds a bachelor of science degree and a Doctoral degree in Occupational Therapy. 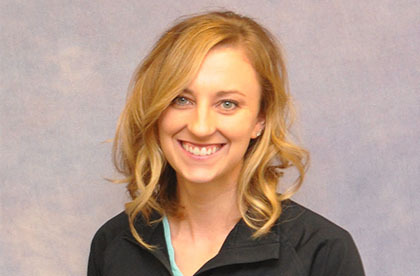 Kayla is a licensed and board certified Occupational Therapist in the state of Nebraska. Kayla joined Madonna’s inpatient therapy team in 2014, working with a wide variety of neurological conditions within the acute care hospital. Kayla is a Certified Brain Injury Specialist (CBIS) who is trained to assess and treat visual impairments following neurological insult. Linda Storz is a 1981 graduate of Washington University School of Medicine in St. Louis, Missouri, holds a Bachelor of Science degree in Occupational Therapy, is licensed in Nebraska and a member of the American Occupational Therapy Association. Linda is extensively trained in vision impairments, especially low vision. She is also a certified driver rehabilitation specialist, trained to assess and instruct people with disabilities in their return to driving. Neurological visual deficits most commonly encountered by patients include double vision, impaired visual perception and partial vision, all of which can hinder rehabilitation. For instance, a stroke patient may have trouble learning to tell time because partial vision allows her to see only certain areas of the clock. Another patient may have difficulty with balance and mobility because his perception of where his center of gravity is located may not be accurate. Integrating appropriate visual strategies, techniques and equipment into transdisciplinary treatment results in better outcomes. What does this treatment include? Individuals referred for vision rehabilitation first receive a vision assessment by a neuro-optometrist. If appropriate for treatment, the neuro-optometrist will direct the occupational therapist on the treatment plan, which may include the use of specialized equipment, such as prism glasses, and teaching adaptive strategies to address vision impairments. These techniques and equipment are shared with other members of the patient’s rehabilitation team so they may be integrated into their treatment sessions to enhance learning and success. The neuro-optometrist will monitor the patient’s progress through re-evaluations and adjust the vision treatment plan according to the patient’s needs. Who would benefit from the Vision Clinic? 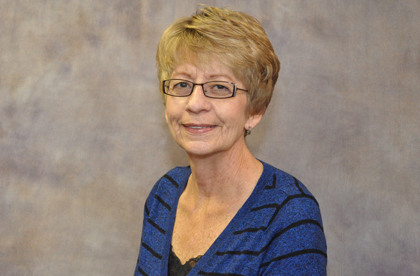 Madonna outpatient scheduling at 402.413.3900.
mobility. Madonna offers low vision rehabilitation by specially trained occupational therapists who evaluate how reduced vision affects daily activities and offer solutions to improve function. and reading skills to determine the person’s best visual location for seeing objects or reading. and how much assistance is required. Who would benefit from Madonna’s Low Vision Services? Any sighted person who has experienced changes in his or her vision that affect daily living activities.